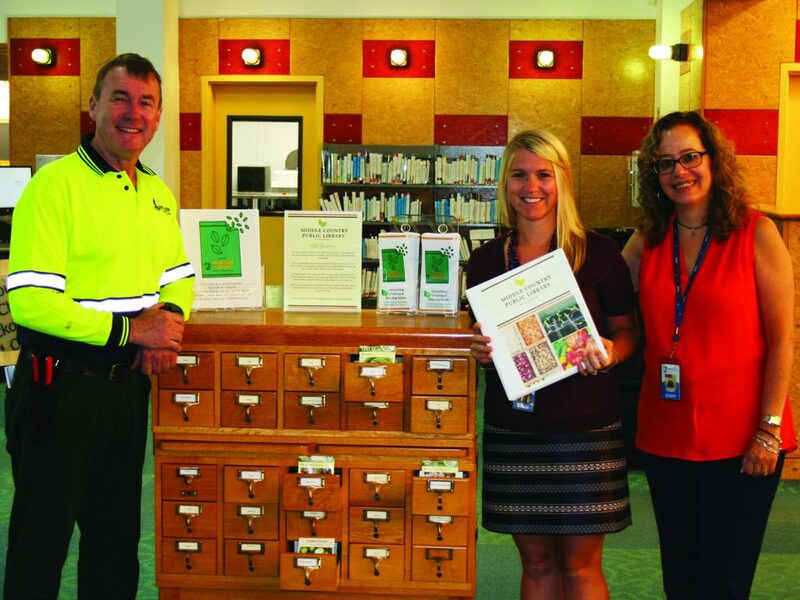 Emerald Magic Lawn Care, owned by Craig den Hartog, planter of Old Town Blooms, has awarded a $300 sponsorship to support the new MCPL Seed Library. Patrons may check out four packets of seeds per month from our selection of 100% organic, GMO-free vegetable, herb and fl ower seeds. Please visit www.mcplibrary.org/seed-library for more information. Pictured l-r: Craig den Hartog, owner, Emerald Magic Lawn Care and planter of Old Town Blooms with Amber Gagliardi, librarian and Sophia Serlis-McPhillips, director, MCPL.